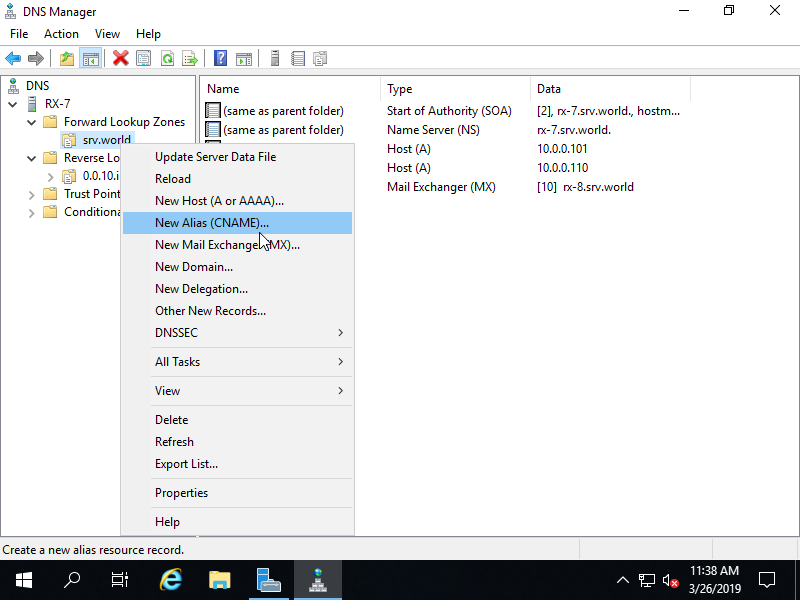 Add CNAME record which is another name (Alias) of an A-record. 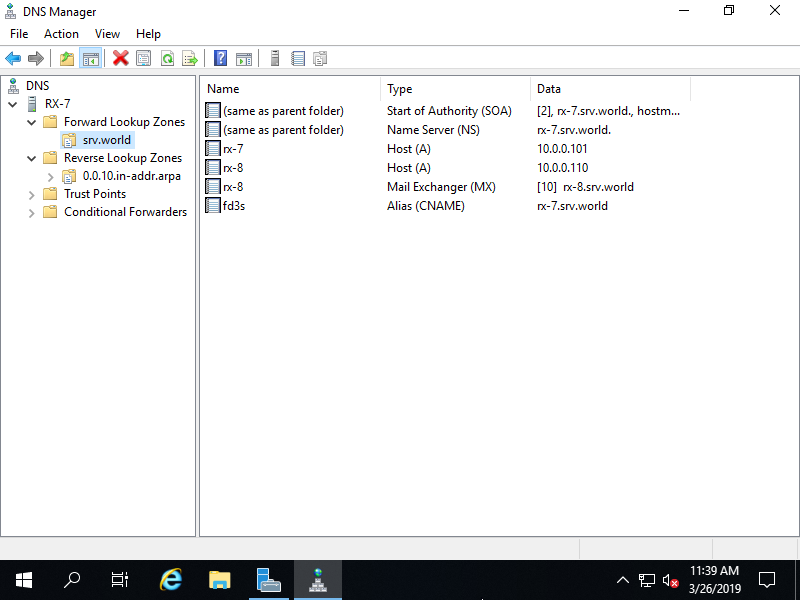 For example, Add CNAME record [fd3s] to a Host [rx-7] in a Zone [srv.world]. fd3s                      CNAME      5          0                    01:00:00        rx-7.srv.world. fd3s     CNAME      5    0         01:00:00   rx-7.srv.world. 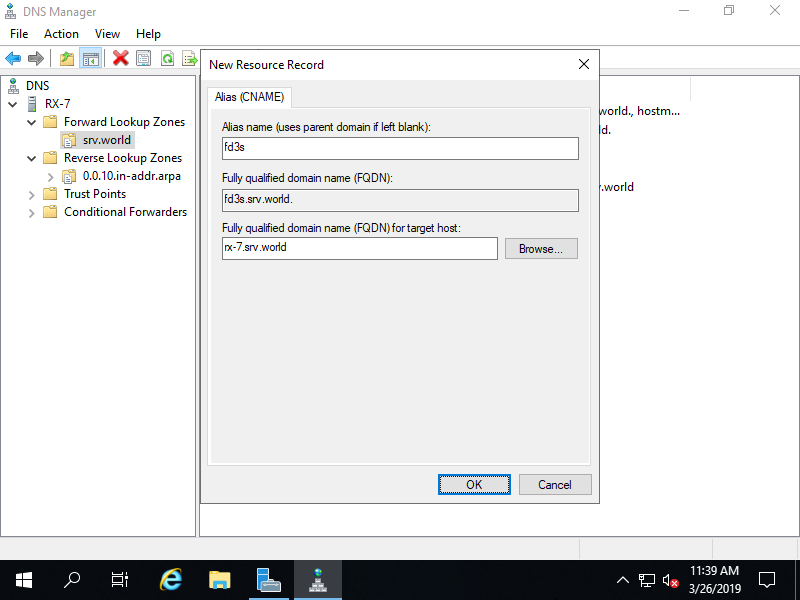 Run Server Manager and select [Tools] - [DNS], next right-click the own domain name to show menu on the left pane, then select [New Alias (CNAME)...]. Input Alias name and FQDN, and also target Hostname like follows. A new CNAME record has beed just added.